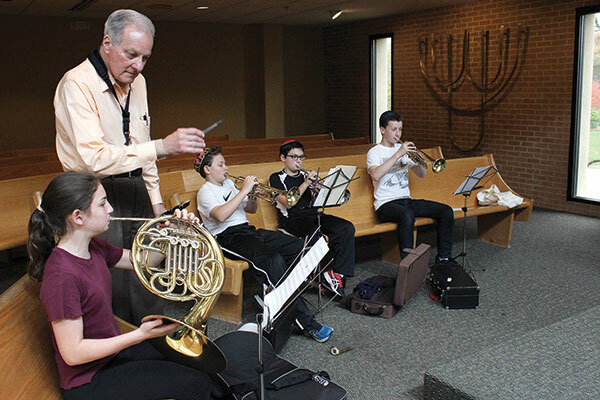 GOA students practice for their Nov. 16 performance with the NJSO musicians with music teacher Richard Perini. As part of the UJA Benefit Concert outreach project, Golda Och Academy student musicians will join members of the New Jersey Symphony Orchestra during a free performance on Wednesday, Nov. 16, at 7 p.m. at the school’s Eric F. Ross Upper School Campus in West Orange. 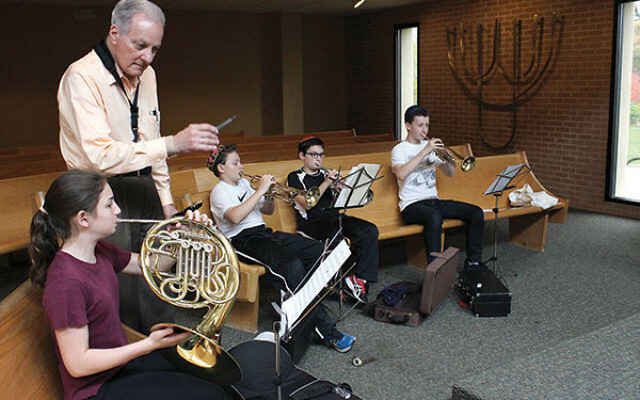 Under the direction of GOA music teacher Richard Perini, students in grades five-11 are practicing to play “Hatikva,” Israel’s national anthem, with the orchestra. “Bringing the NJSO to GOA is an amazing opportunity for our band students to learn and perform with working professionals in the field,” said Arts Department chair Jordan Herskowitz.